Rosa Villa is a native of Milan, Italy and has a Masters Degree in Scenography (set design) from the Brera Academy of Fine Arts in Milan. She also has degrees in photography, advertising, and art instruction. She has created and designed costumes for theaters, ballets and operas in Milan and Orlando as well as for the Disney, Universal Studios and SeaWorld theme parks. When not designing, she creates works of art with chalk, soft pastels, pencil, and oils. Rosa first came to Orlando, FL after Disney selected her from the Brera Academy in Milan to represent Italian technique and style of the great Italian masters at EPCOT. In 1999, she was a featured artist in convention receptions throughout Walt Disney World. Rosa has experience using fabrics, watercolor, acrylic, chalk, pencil, oil and mosaics. In 2005, she was a featured artist for the opening of the Mona Lisa Hotel in Celebration, Florida. 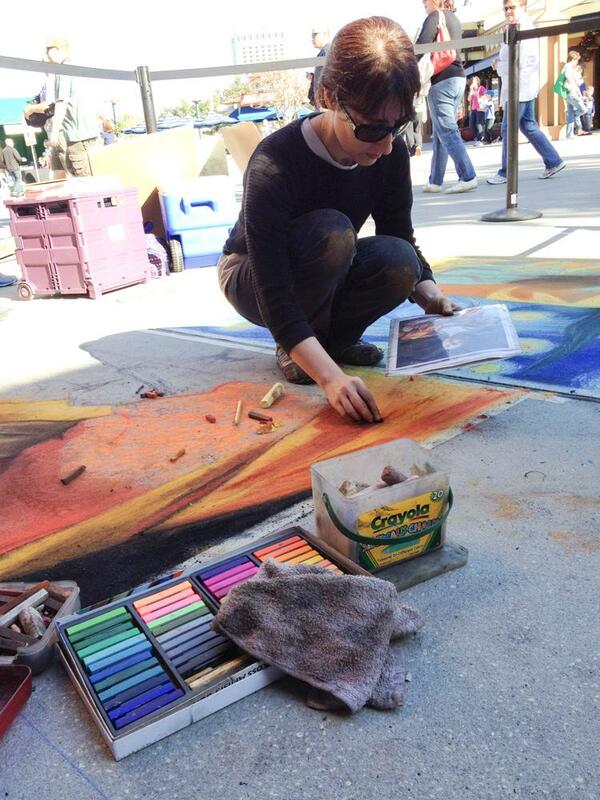 Rosa is a member of the Central Florida Chalk Artists Association and regularly participates in events around Central Florida, including Disney’s Festival of the Masters at Walt Disney World. While she paints in various styles, her favorite is the Italian Renaissance.